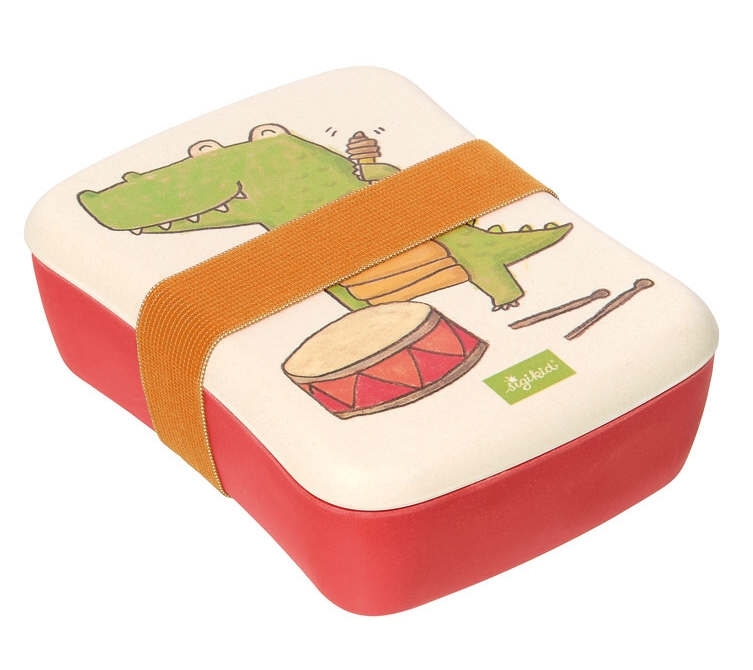 Environmentally friendly, easy-to-close bamboo lunch box, with cute animal design and removable subdivision. 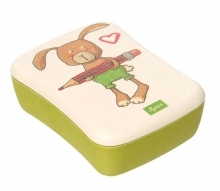 Sustainable, practical, cute - that's how the handy lunch box can be described campactly. 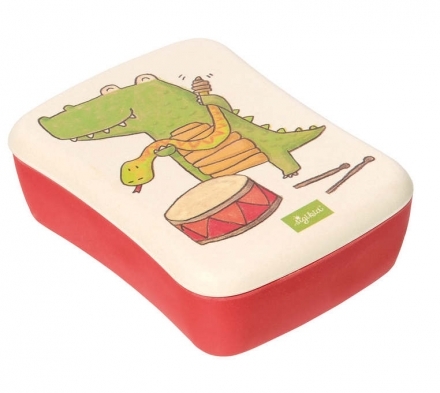 This lunch box scores not only by its design, but also by its environmental friendliness. Cute animals, drawn in children's book style and in beautiful matt shades, will happily smile at your child from the cap. The top can be easily put on and off and then quickly and safely closed afterwards with the matching elastic band. 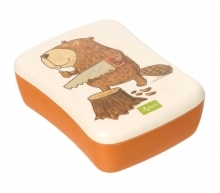 The practical tableware measures 12.5 x 6 x 17 and is large enough to transport several sandwiches for the adventurous hikes in the woods, but at the same time it is small enough to fit in any handbag. 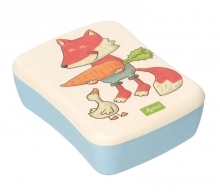 In addition, a removable part is included, which can serve excellent as a vegetable snack storage. 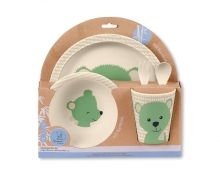 To diavoid the use of non-degradable plastic, only environmentally friendly materials, such as bamboo were chosen as ingredients. 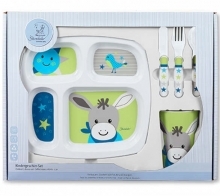 Whereby the box still remains dishwasher safe.